Cooling towers can be breeding grounds for Legionnaires’ disease. As a facility manager or operator, it’s your responsibility to ensure the health of the HVAC system. Regular maintenance helps to control bacteria growth, as well as keep your customers and staff out of harm’s way. Read below to learn what Legionnaires’ disease is and how to prevent it with regular cooling tower cleaning. Legionnaires’ disease is caused by the Legionella bacteria. Legionnaires’ disease can cause a life-threatening type of pneumonia. Those with the disease often experience a high fever, cough, headache, chest pain, chills and gastrointestinal problems. Certain individuals, such as the elderly, smokers and people with chronic diseases, are at higher risk of contracting the disease. Every year, there are approximately 25,000 new cases of Legionnaires’ disease. While this waterborne bacterium is still relatively rare, it’s deadly. It contributes to around 4,000 deaths each year. You probably already know how cooling towers function. As they spray water down through the tower, air passes through the falling water. As the air flows through the water heat is exchanged and some of the water evaporates. The rest of the water that is now cooled, goes to the bottom. What you might not know, is these pools of water are within the ideal temperature range for Legionella growth. If not cleaned, disinfected and maintained on a regular basis, cooling towers can harbor Legionella. Open to the elements, the water can become dirty with algae, sediment and other contaminants that welcome Legionella growth. As the spray nozzles distribute the water, they release tiny, breathable droplets of contaminated water that can cause Legionnaires’ disease. 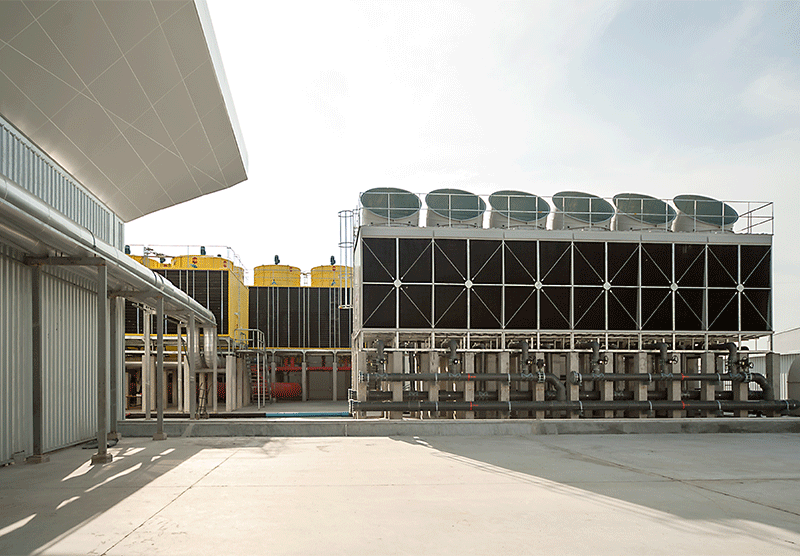 Therefore, it is important to have effective cooling tower cleaning procedures that inhibit the growth of the bacteria. Preventing Legionnaires’ disease starts with scheduled cleanings, at least twice a year. First, the cooling tower fan housing needs scrubbing and disinfecting. Normal chemical treatments may not be enough to stop the bacteria from growing inside of it. Then, there is the cooling tower basin. This pool is typically rich in oxygen and houses warm water, providing the ideal environment for Legionella growth. Lastly, you’ll need to unclog and clean the cooling tower distribution pan. This helps to keep water flowing as efficiently as possible. When the pan becomes clogged, it has the potential to slow water cooling. Thus, helping contribute to above-normal, Legionella-friendly temperatures. free of Legionella. If you have any questions about preventative HVAC maintenance, contact The Severn Group today. In addition, check out our blog for more HVAC tips. Can You Use a Natural Ventilation System?